Parking.com has convenient parking near the California Museum. Refer to the map for more information on nearby parking locations. The California Museum, which is also home to the California Hall of Fame, is housed in the State Archives building in Sacramento – one block from the State Capitol. 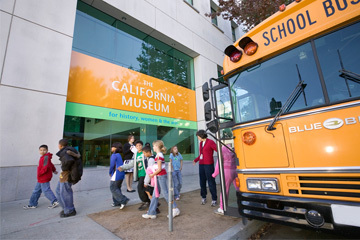 Through interactive and innovative experiences, the Museum seeks to educate and enlighten people on California's rich history and contributions.